Rihanna is officially the first woman to receive the Shoe of the Year Award during the 30th annual Footwear News Awards in New York. We really love the singer, and have to celebrate her achievements, but her black ensemble really left us confused. The artist wore her award-winning Puma creepers with a Vetements x Juicy Couture outfit. 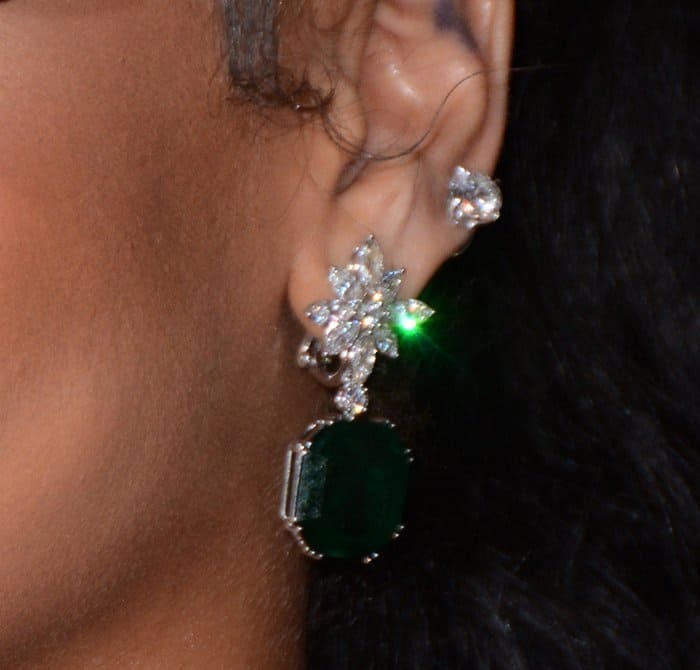 We’re not a big fan her unusual Securite-printed look but her jewelry choice is definitely stunning. 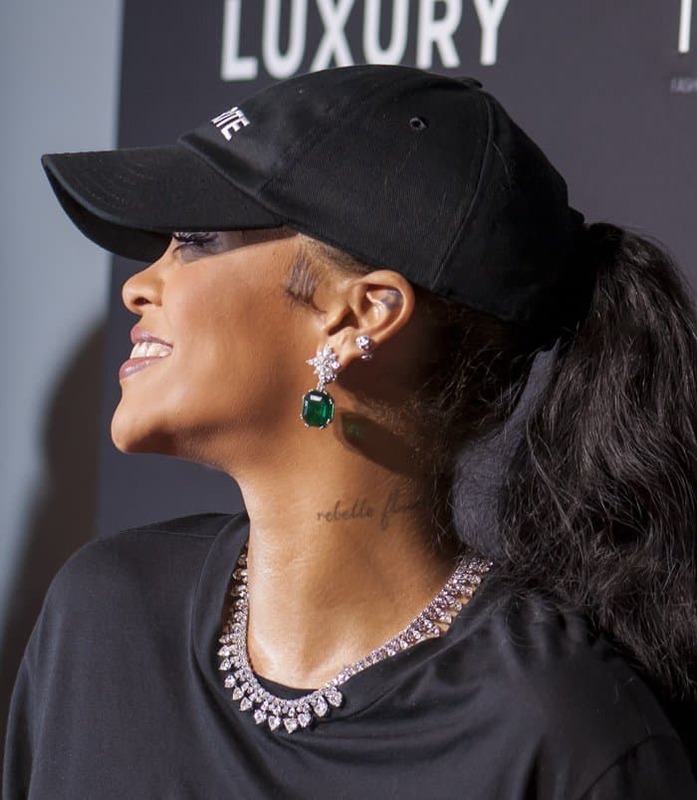 Rih added sparkle to her all black ensemble with a diamond choker necklace and a pair of earrings with huge emerald stones. The jewelry pieces are impressively gorgeous but unfortunately, didn’t do the trick in jazzing up her velvet gloves and skirt. 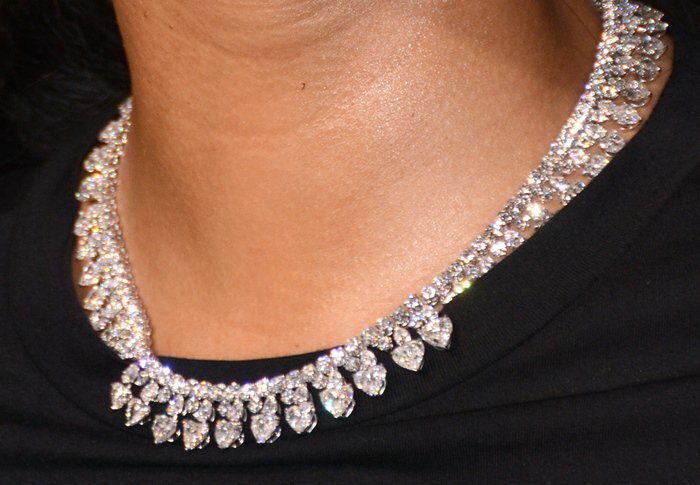 We really wish she had paired these beautiful baubles with something a little more sophisticated. Then again, Rih will keep doing her thing and winning awards no matter what she wears. So, more power to this bad gal!